It is the most iconic sign in Las Vegas. Perhaps one of the most iconic signs in all of the world. The “Welcome to Fabulous Las Vegas, Nevada” sign is located inside the median at 5100 Las Vegas Boulevard South, across from the old Klondike Hotel & Casino. Let’s get into some fun facts, shall we? The sign is not actually located in Las Vegas, but rather, in the town of Paradise, NV (as is most of the Las Vegas Strip). The sign is approximately 4 miles from the actual Las Vegas, NV. 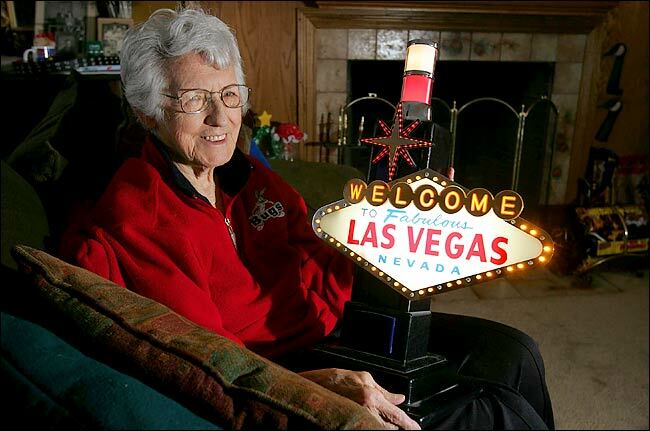 The designer of the sign, Betty Willis, also designed the Moulin Rouge casino sign. The Moulin Rouge was the first integrated casino in Las Vegas (and in the United States). Betty Willis could have trademarked the sign, but chose not to, calling it her gift to her hometown. Had she trademarked it, she could have made millions. The sign was the idea of Ted Rogich, a local Vegas salesman. He approached Willis in 1952, though the sign was not completed until 1959. Rogich and Willis sold the sign to Clark County in 1959 for $4,000.00. In October of 1999, the sign went dark for a month when the company that was paying the power bill was bought by another company. When discovered, the $60 past due bill was paid and the sign reappeared. In 2002, the Las Vegas City Council erected a “Welcome to Fabulous Downtown Las Vegas” sign just inside city limits. On May 1, 2009, the sign was named to the U.S. National Register of Historic Places. « Remembering Sahara’s Pool	» Airport Transportation — Why not a limo? I am a local artist in Las Vegas and have designed many googie style sculpture..Meeting Betty is on my Bucket List..It would be an honor to stand beside her!